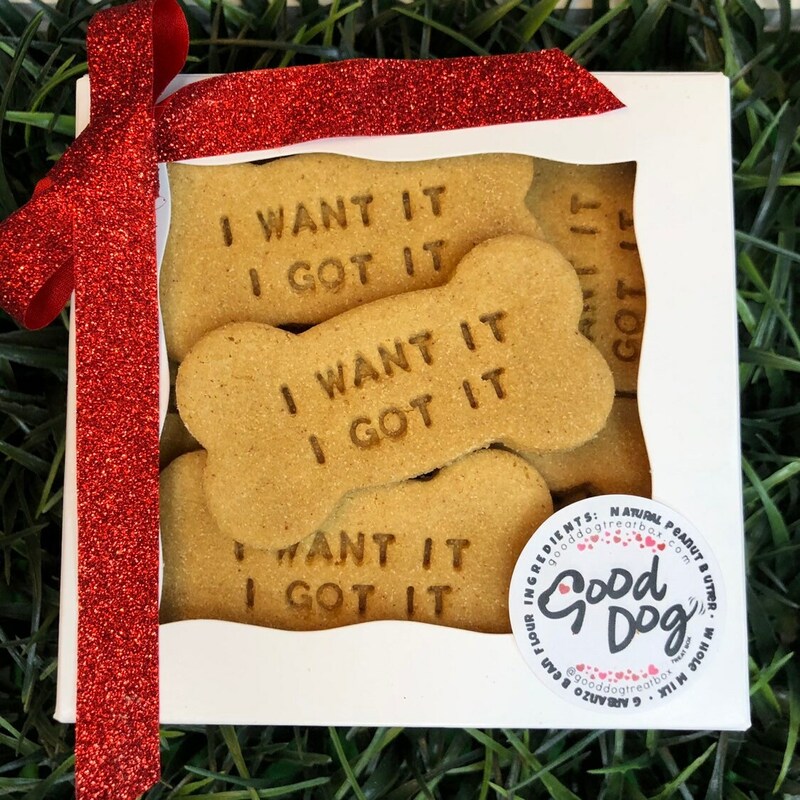 "I Want It, I Got It" treats are Grain FREE, made with creamy garbanzo bean flour and all natural peanut butter. Treats are perfectly packaged and make PAWESOME doggie gifts. Treats are roughly 3".